Andrei Arlovski entered this fight with a pro mma record of 24-10-0 (83% finishing rate) and he is ranked as the No.4 heavyweight in the world while Frank Mir, has a record of 18-9-0 (77% finishing rate) and he entered as the No.10 in the same weight class. He suffered four consecutive losses between 2012 and 2014 but then he came back to win in 2015 defeating Antonio ‘Bigfoot’ Silva. Arlovski and Mir -- former Heavyweight champions -- finally collided tonight (Sat., Sept. 5, 2015) in the co-main event of UFC 191, which took place inside MGM Grand Garden Arena in Las Vegas, Nevada. And even though Mir was willing to exchange shots for three grueling rounds, his stand up -- and his light ground work -- were not enough to give him the edge with the judges sitting ringside. His constant clinching might have had something to do with the result. Mir came out looking to set the pace, and the moment Arlovski got near, he pushed him into the cage. 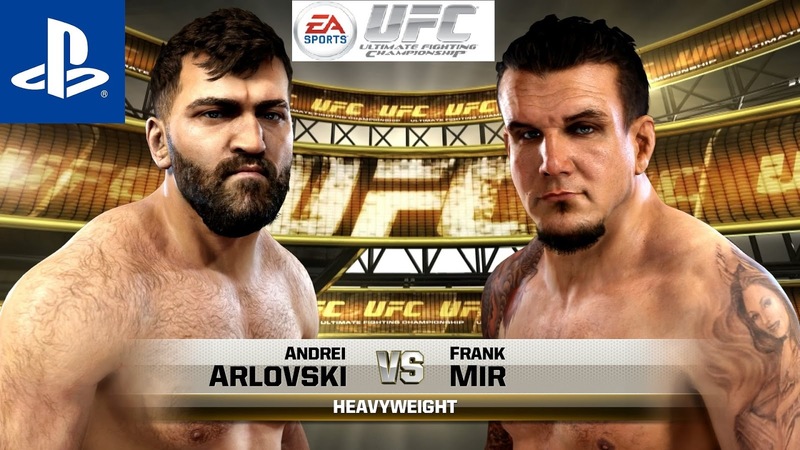 Arlovski unleashed a sick right hook and Mir chased him back to the fence with a barrage of punches. Arlovski backed out of danger and drilled Mir on the break with a hard shot. This post is under Andrei Arlovski vs Frank Mir Fight Video on UFC 191.